Seattle, WA (January 17, 2019) – Lewis Brisbois is pleased to announce the arrival of Deborah K. Flynn to our Seattle office as a partner in our Workers’ Compensation Practice. Ms. Flynn is a trial attorney with over 26 years of experience handling all aspects of litigation including discovery, mediation, trials at the administrative Board of Industrial Insurance Appeals level, jury and bench trials in the State of Washington Superior Courts, and appeals before the Washington State Courts of Appeal. 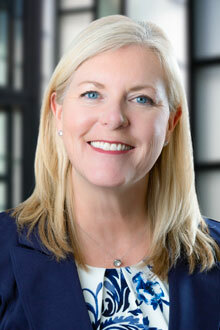 A graduate of Mitchell Hamline School of Law in St. Paul, Minnesota, Ms. Flynn exclusively represents self-insured employers and companies in workers' compensation matters, and has cultivated a statewide client base of large self-insured employers, many of which she is proud to have served for the length of her career. Previously, Ms. Flynn was the founder and managing member of Flynn Law Group. Please join us in welcoming Deborah to the firm.